THE HAGUE, March 7. /TASS/. No fewer than 17 air defense missile systems Buk-M1 of the Ukrainian armed forces were in the east of Ukraine on the day of the Malaysian flight MH-17 disaster in the summer of 2014, the director of the Russian Foreign Ministry’s department for new challenges and threats, Ilya Rogachyov, told the judges of the international UN court. About the MH17 disaster, which Ukraine blames on Russia he said that "the investigation of the tragedy is still going on." "Russia has actively cooperated with the Dutch Safety Board and the Joint Investigation Team in various ways, including replies to requests for legal assistance," Rogachyov said. "The Russian authorities and experts disagree with the DSB and JIT conclusions, because a large amount of evidence was ignored by the international investigators." In particular, the Rogachyov said, this applies to evidence "gathered by two independent Dutch journalists who visited the crash site just recently." "It is noteworthy that in the summer of 2014 Ukraine’s 156th air defense regiment armed with Buk-M1 systems was in the area of the conflict," he said. "The regiment’s command center and the first unit were in the area of Avdeyevka, near Donetsk, the second unit was near Mariupol, and the third, near Lugansk. All in all the regiment had 17 Buk-M1 systems at its disposal. All were identical to the one the JIT identified as the weapon that downed the air liner." "For the purpose of these hearings it is enough to note that neither the DSB nor the JIT have arrived at the conclusion the liner was shot down deliberately or that the equipment had been allegedly provided for this particular purpose," he said. This means that the case does not fall under the operation of the Convention on the Prevention of Terrorism. In other words, "even if the court relies only on the JIT conclusions," it will see clearly Ukraine’s charges on that count are groundless, Rogachyov said. A Boeing-777 passenger plane of the Malaysia Airlines en route from Amsterdam to Kuala Lumpur was lost on July 17, 2014 over the Donetsk Region, in eastern Ukraine. The disaster claimed the lives of all 283 passengers and 15 crew - citizens of ten countries. 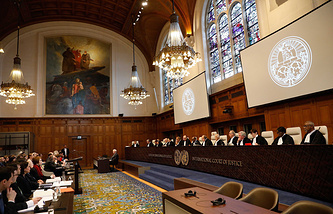 The International Court of Justice in The Hague on March 6 opened hearings on Ukraine’s suit against Russia. The plaintiff claims that starting from 2014 Russia stepped up intervention in Ukrainian affairs by means of an armed intervention, the financing of terrorist acts and seizure of part of sovereign Ukrainian territory in Crimea using armed forces. The Ukrainian authorities allege that Russia has been conducting a policy of cultural purges, thereby violating the International Convention on the Elimination of all Forms of Racial Discrimination. Ukraine wants the court to find Russia guilty of sponsoring terrorism and to oblige it to stop all support for the self-proclaimed Donetsk and Lugansk republics. 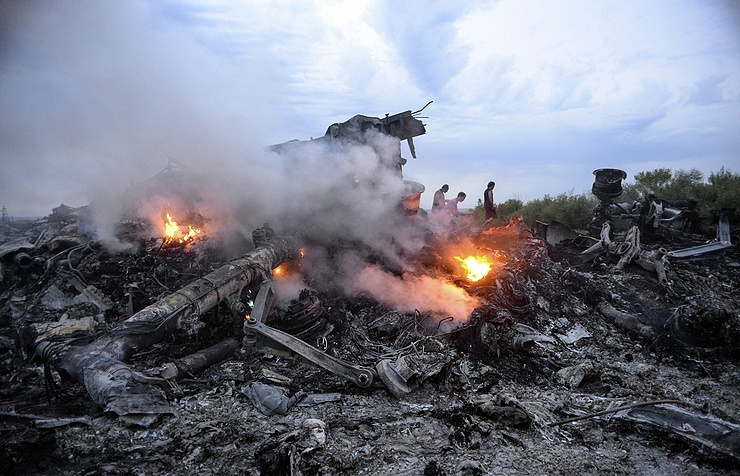 Also, the Ukrainian authorities demand that Russia should pay the full compensation for the Malaysian passenger liner shot down over Donbass and for the bombardments of civilian population in the region. 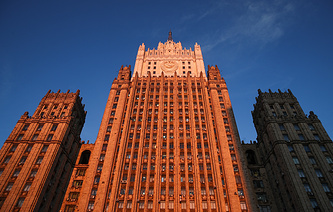 The Russian Foreign Ministry earlier said that Russia had "invariably and strongly condemned any manifestations of terrorism and conducted proactive struggle against it." "Ukraine has failed to provide any confirmations of its claims there were certain circumstances liable to the convention’s operation," it recalled. The Foreign Ministry has stated that while trying to look into the gist of Ukraine’s claims Russia encountered the Ukrainian authorities’ firm reluctance to conduct a meaningful dialog and eventual unilateral disruption of consultations with the Ukrainian side." The Russian Foreign Ministry has arrived at the conclusion "Ukraine’s main aim - if not the sole one - was not a settlement of some disputes, but search for a pretext for taking Russia to an international court." Kiev is not interested either in the real protection of people or the observance of treaties but merely pursues time-serving political aims, the Foreign Ministry said.